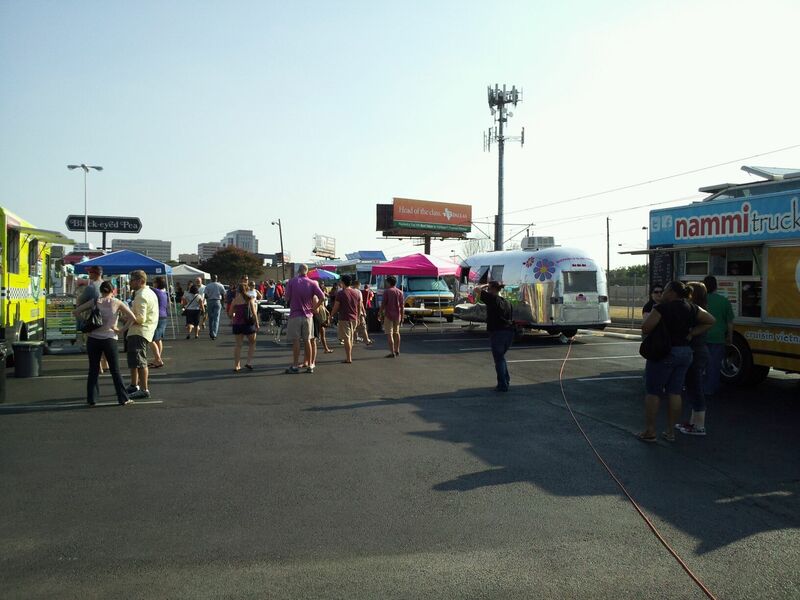 It was hot on the Sigel’s blacktop parking lot but that did not stop people from showing up to try some of the areas most popular food trucks at the Gourmet Food Truck Fest. As the trucks opened, the crowd grew. Food truck lovers emerged from surrounding parking lots and from around corners ready to brave the 110 degree weather, stand in long lines waiting 30 minutes or more for their favorite dish or to try something new. The trucks in attendance were: Enticed, Nammi, Jack’s Chowhound, Gandolfo’s, 3 Men and a Taco, Mr. 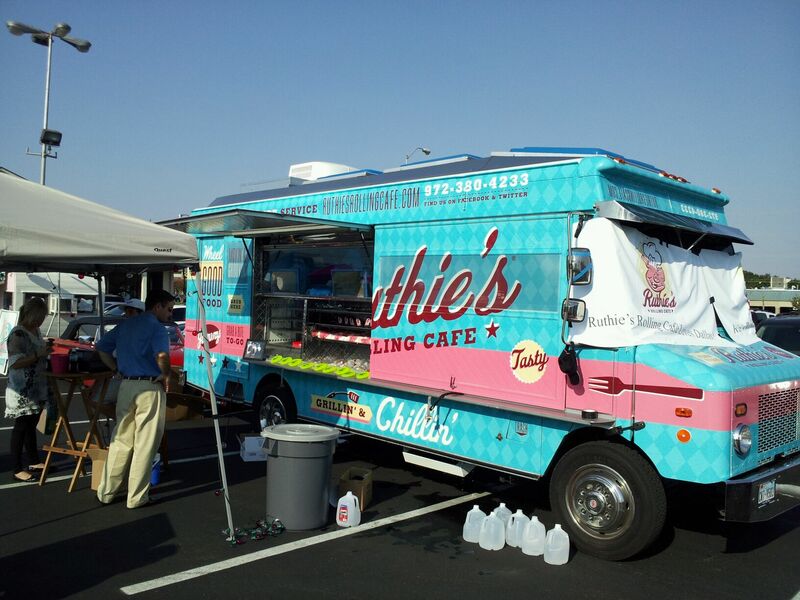 Cool, Trailercakes, The Bomb Fried Pies and Ruthie’s Rolling Cafe. It was a nice mix of savory and sweet. I decided to try two trucks I had been dying to sample: Ruthie’s Rolling Cafe and 3 Men and a Taco. I really wanted to get by and see my friends at Nammi and Traliercakes but the heat was out of control….ON THE BLACKTOP! They also had super long lines. At 3 Men and a Taco I had a chicken taco. After I topped it with a couple of their signature sauces, it was simply marvelous. Gator lovers, check this truck out. 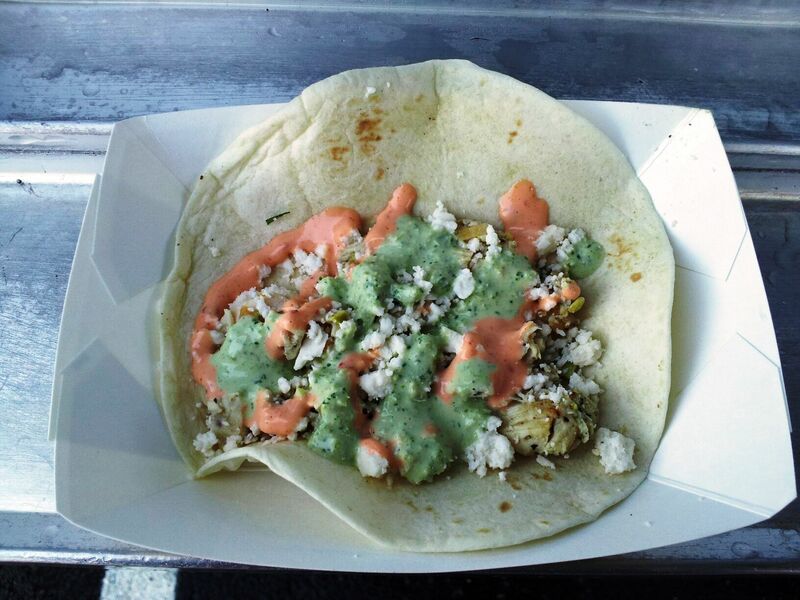 Gator tacos are on the menu. 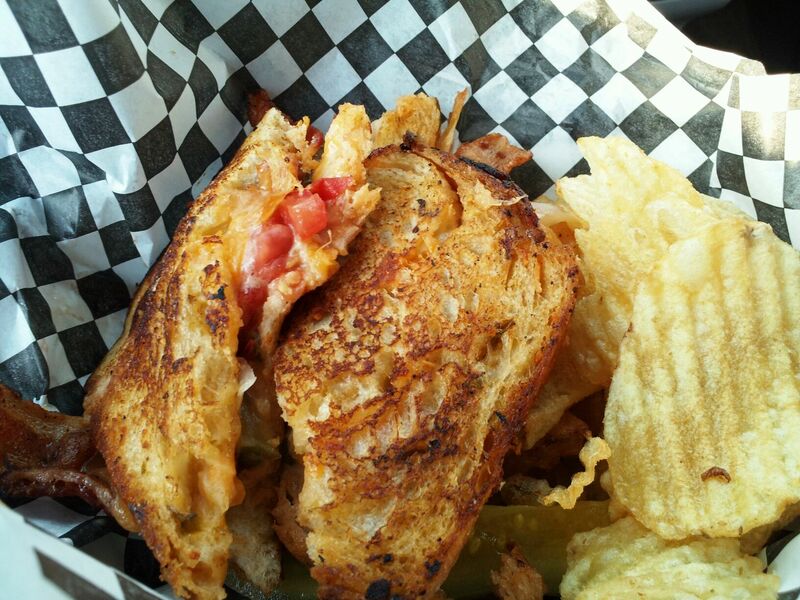 At Ruthie’s Rolling Cafe I had a built to order grilled cheese. My sandwich had bacon, cheddar, grilled onion, grilled tomato, pickle, jalapeno and special sauce. (I had to try the special sauce!) Served with chips and a pickle spear, their grilled cheese sandwiches are amazing! 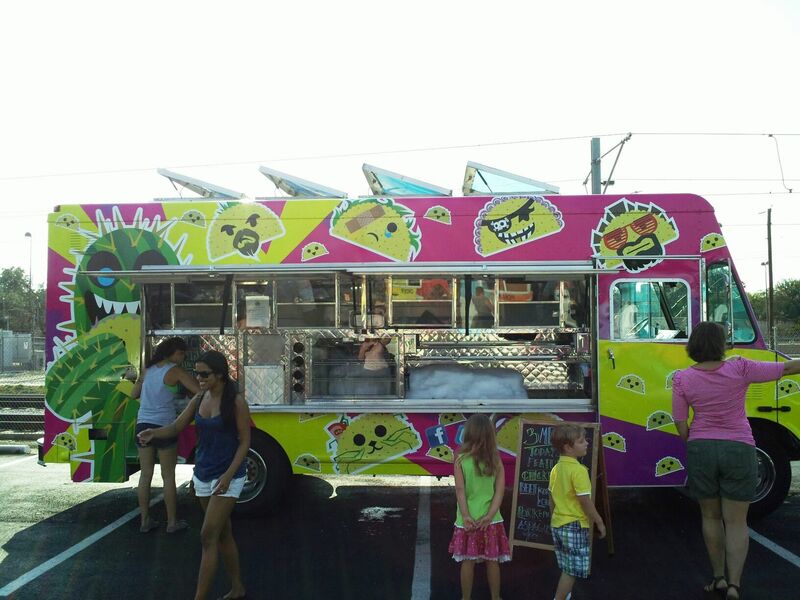 If you love the comfort of a yummy grilled cheese, check this truck out. Grilled cheese is all they do and they do it well! If you missed the event, don’t worry. Google any of the names above to find their websites and social media pages. From there you will be able to locate their schedules. From the looks of things, the food truck fest went well. I suspect another will happen and I am all for it. The location at Sigel’s on Greenville is central to most areas in Dallas, however, it is small. Maybe a larger location and a cooler time of the year are in the future.